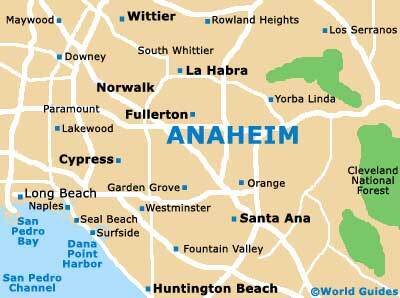 Anaheim boasts a fair amount of history, with many historic landmarks and monuments, owing to the days of the German grape immigrants who settled here to farm vineyards. Major Anaheim landmarks include Mother Colony House, which showcases this prosperous time, while nearby Anaheim House is also a fine example of pre-19th century architecture. 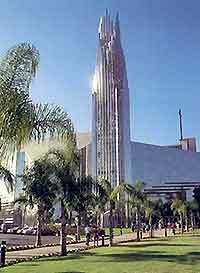 Other impressive landmarks in the Anaheim area include the birth and resting place of the 37th US president, Richard Nixon, and the amazing Crystal Cathedral in the nearby community of Garden Grove. Anaheim House dates from the late 19th century and is one of the oldest structures standing in the city of Anaheim. The house is in the style of Victorian / Queen Anne and stands three-stories high, while inside you will find a historic American Red Cross exhibit. 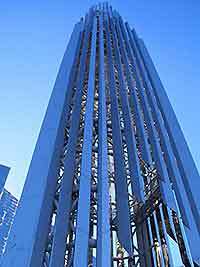 The magnificent Crystal Cathedral resides in the nearby town of Garden Grove and was the brainchild of well-known architect Philip Johnson. Consistently hailed as one of the world's most magnificent religious buildings, Crystal Cathedral boasts 10,000 panes of glass, almost 3,000 seats and was built to resemble a four-pointed star. Major annual events held at the cathedral include the Glory of Christmas and Glory of Easter, where flying angels and special effects add to the splendor. After hosting a huge opening ceremony of about 50,000 people including former US presidents Ford, Reagan and Bush, the Richard Nixon Library and Birthplace focuses on Nixon's tenure as president and includes a recording of the famed Watergate smoking-gun. Nixon's farmhouse birthplace is close to Anaheim and can be toured, where you can see the final resting place of Nixon and his wife within the gardens. Dating from 1857, the California State landmark building of Mother Colony is one of the oldest post rancho-era houses in the region. Mother Colony is the name given to the settlement of German immigrants that came to Anaheim looking for land on which to farm grapes, and the house was built by George Hanson from Californian redwood trees. Inside Anaheim's Mother Colony House are numerous relics and artifacts from the 1800s.